The numerous and diverse walks on Lesvos are legend. There are many books written about walking on Lesvos. Now that the daytime temperatures are beginning to cool, our season of ‘adventure’ has begun. Each year we try to discover something new. In order to ease our summer bodies into the vigour of the Lesvos landscape, we frequently begin with a familiar walk that we know to be gentle and shady. So on 10 October we decide to go for a leisurely stroll around the hill above Lafionas. As the weather was very hazy, I decided that landscape photography would not be productive so put a macro lens on my camera. What a good decision! 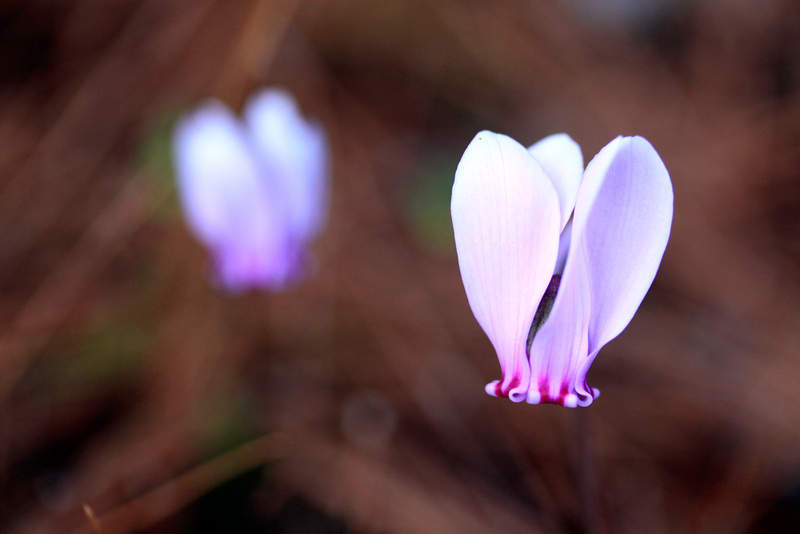 As we climbed the footpath rising above Lafionas we passed a small patch of Cyclamen poking stunning little flowers out of the pine needles. Our walk was punctuated with stops to view elusive insects, admire the views over Petra towards Turkey and simply listen to the silence. 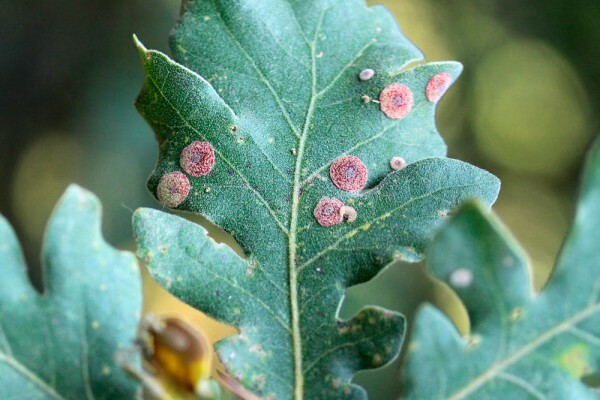 As we rounded a corner we found an Oak tree with red/brown shiny and very sticky galls about 3cm in diameter. 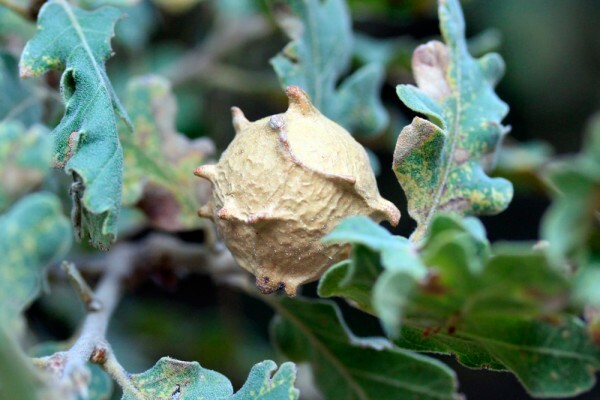 We then spotted different galls on the underside of a leaf. These were about 5-7 mm in diameter. 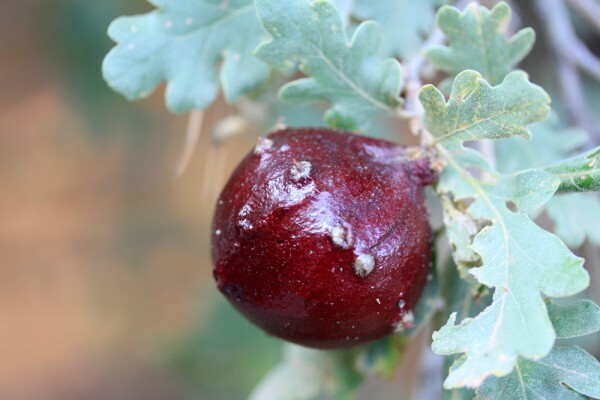 We then found yet another type of gall this one was just over 1 cm. Please email me if you can help identify the types below. The last surprise came when I stopped to photograph some dried thistles. 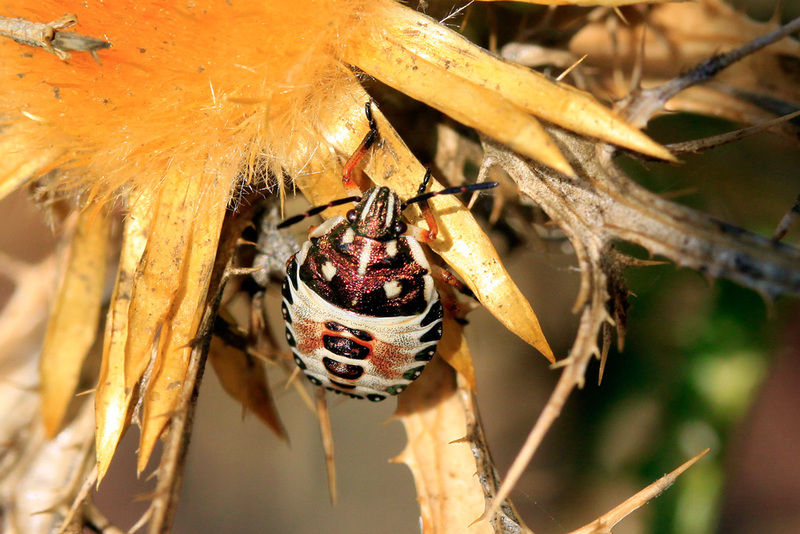 I didn’t spot the brightly coloured Carpocoris nymph until I was doing a quick review of the picture. I love Lesvos. I love the way a simple stroll through the pine forest with friends turns into a wildlife adventure. Lafionas is a beautiful hillside village that has real character and charm. It is worth visiting just for that. When you add in the amazing views towards Turkey and the walk around the mountain you have one amazing morning. The walk features in the book On Foot in North Lesvos. Click here for a further selection about walking on Lesvos.